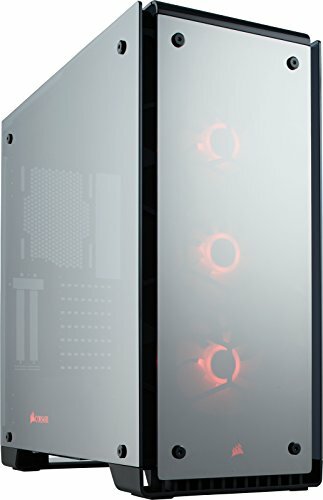 The Corsair crystal Series 570X RGB mirror Black is a premium mid-tower PC case enclosed in four panels of immaculate mirrored tempered glass, putting "every component of your build on display. Three included SP120 RGB LED fans, RGB case lighting and a built-in LED controller let you light up your case in every component of your build on display. Three included SP120 RGB LED fans, RGB case lighting and a built-in LED controller let you light up your case in your choice of colors and effects. With room for up to 360mm liquid-cooling radiators, six cooling fans and a vertical GPU mount, the Corsair crystal Series 570X RGB mirror Black is ready to put the most ambitious builds on show. ".